improve your current physical lifestyle. Elkins Physical Therapy and Sports Injury Clinic is dedicated to providing superior care and exceptional guidance on a wide variety of treatment options. Our knowledgeable and experienced therapists treat every patient as an individual and customize recovery plans and goals to meet the specific needs of each situation. Our objectives and dedication extend beyond physical needs as we strive to help you regain quality of life. We understand that as your physical abilities strengthen, your social and emotional well being are also positively affected. Our therapists are truly set apart in their abilities to help you fully understand what transitions you will experience throughout your treatment. Our exceptional staff and state of the art facility is the perfect environment to help you reach your physical goals. We are conveniently located in the Railyard and ready to provide you with all you need to get back on track both quickly and close to home. Come visit us to see all we have to offer in the Elkins Railyard at 10 Main Street or feel free to give us a call today at 304-636-1548. 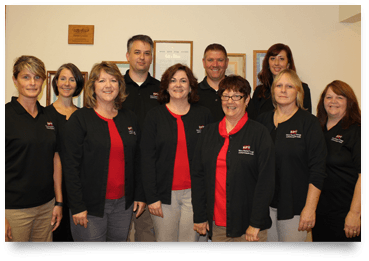 Learn more about the Elkins Physical Therapy Staff. Learn more about our facility and equipment. Our licensed healthcare providers utilize their intensive education and clinical experience to examine, diagnose, and prevent or treat conditions that limit their patients. Our goal at Elkins Physical Therapy is to reduce your pain, restore your function, and prevent disability. An individualized treatment plan is created for each specific patient. EPT also wants to teach you how to prevent and manage your condition while we motivate you during your treatment. 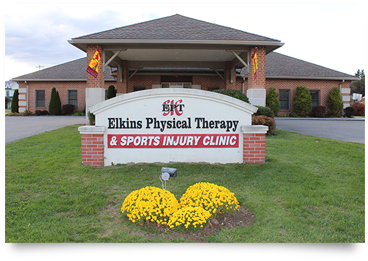 Since 1991, Elkins Physical Therapy and Sports Injury Clinic has proudly served the Elkins community and surrounding region. All of our therapists are certified and licensed by the West Virginia Board of Physical Therapy. 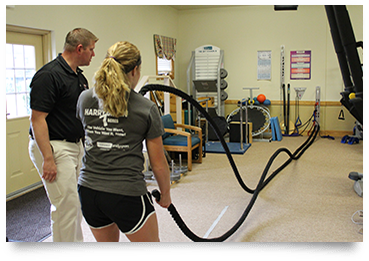 We are proud members of the American Physical Therapy Association and the Randolph County Chamber of Commerce. Co-Owner, Chad Shoemaker, was voted the 2016 People’s Choice for Physical Therapy by the subscribers of The Inter-Mountain Newspaper.